On September 26, 2018, United States District Court Judge Michael P. Shea ordered the The Guardian Life Insurance Company of America ("The Guardian") to pay RamosLaw, LLC a total of $47,416.35 for the attorney's fees and costs in the case of Kimberly Johnson v. The Guardian, 2018 U.S. Dist. LEXIS 165113. 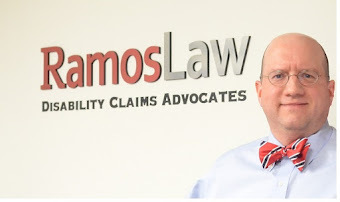 This order granting attorney's fees and costs comes after RamosLaw successfully challenged The Guardian's May 7, 2015 decision to terminate Ms. Johnson's long term disability benefits. Ms. Johnson's LTD benefits were eventually re-instated as result of a Court order mandating a new evaluation of her claim. RamosLaw waged a long battle on Ms. Johnson's behalf and was eventually able to persuade the Court that The Guardian's decision to terminate benefits "was arbitrary and capricious because Guardian had not conducted a full and fair review of Johnson's claim, and (2) procedural irregularities in the administrative process suggested that Guardian's decision was influenced by its conflict of interest as the entity that would both determine Johnson's disability status and pay disability benefits". The Guardian's conduct in this case was particularly reprehensible because, after paying Ms. Johnson's LTD benefits for approximately five years, it decided to stop the payments shortly before she was about to undergo a very complicated thoracic spine surgery. Throughout the administrative process, The Guardian failed to give Ms. Johnson a fair and open minded consideration of her appeal. The Guardian relied on the opinion of two doctors who submitted reports that contained very little or no basis to support their conclusions. There used to be a time when The Guardian was considered to be one of he most fair and reliable long term disability insurance companies in the Nation. In fact, The Guardian was one of the insurance companies that professionals such as lawyers and doctors would rely on the most when looking for LTD coverage. This is no longer true. The actions by The Guardian in this case were just as unscrupulous as the practices of other insurers such as Cigna or Unum who have received substantial fines from insurance regulators as a result of their questionable practices. Individuals who have been denied LTD benefits often ask their disability lawyer whether they can obtain any punitive damages or penalties against the plan or insurance company for failing to follow the law. Unfortunately, under the law that covers most of these plans (the Employee Retirement Income Security Act of 1974 “ERISA”), these damages are not available. Given the state of the law, there are very little consequences when a disability plan acts illegally. The payment of the benefits owed is practically the only remedy available to plaintiffs. However, even though there are no punitive damages, the Court may force the insurance company and/or LTD plan to pay the plaintiff’s attorney’s fees. In these instances, the imposition of attorney’s fees acts as the only penalty or punitive action that can work to deter LTD plans from violating the law.